Film maker Yash Chopra is recognized as the ‘king of romance’ in Indian cinema for directing films like kabhie Kabhie. 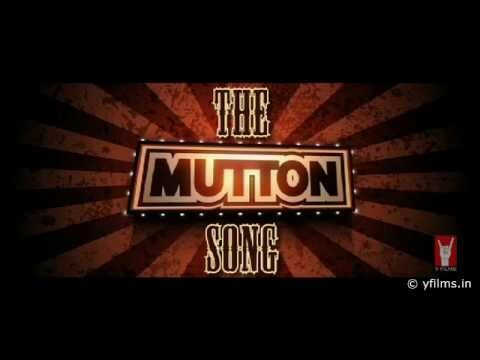 Daag, Noorie, Silsila, Darr, Chandni, Lamhe, Dil To Pagal Hai, etc. Earlier, he made some serious and social films like Dhool Ka Phool, Waqt, Dharmputra, and Ittefaq, etc. He was a trendsetter as a filmmaker. Yash Chopra gave Bollywood the angry young man Amitabh Bachchan and even crafted career of another superstar Shahrukh Khan. During the early times of his career, Yash Chopra worked as an assistant to the director I.S. Johar and his sibling B.R. Chopra. He got his first break as a director in B.R. Chopra’s film Dhool Ka Phool. It was a mega hit followed by Waqt and Iftefaq. Later, he got separated from his brother B.R. 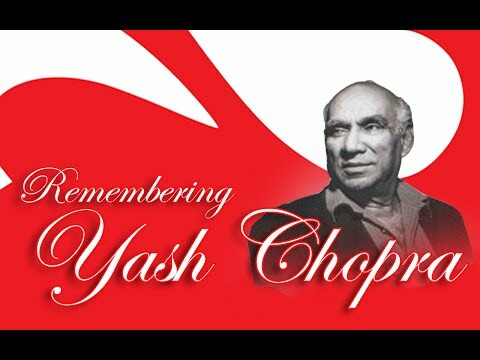 Chopra and formed his own banner Yash Raj Films and directed ‘Daag’ which had Sharmila Tagore, Rakhee Gulzar and Rajesh Khanna playing pivotal characters in the film. Later he made cult and classic Hindi films Deewar, Kabhie Kabhie, Trishul, Kala Patthar with Amitabh Bachchan. Yash-Amitabh and Salim-Javed formed a team together and gave blockbuster movies in a series. Yash then tried to make a film on the personal life of Amitabh Bachchan and signed Jaya Bhaduri, Amitabh, and Rekha for ‘Silsiila’. The movie failed in box-office but remains cult love story in mainstream cinema. After Silsila, Yash Chopra got separated from Amitabh Bachchan and made films with Dilip Kumar and Anil Kapoor. It was then Yash Chopra faced a serious setback in his career as many films of his had flopped. Chopra’s lean phase ended with the release of Chandni in 1989. Then he directed Darr, Lamhe, Dil To Pagal Hai and Veer Zara, which was a big success in the box-office. He also turned producer for ‘ Dilwale Dulhania Le Jayenge’ which made Shahrukh Khan as a bankable star in Bollywood and made Shahrukh as king of Bollywood. After Veer Zara, he took a sabbatical from direction and handed the key of direction to his son Aditya Chopra. He produced eight films afterward which were successful in box office. Yash Chopra gave a break to Shashi Kapoor and Saif Ali Khan in acting and gave to break to Javed Akhtar to become a lyricist. He introduced Shiv-Hari as a music composer in Bollywood. He directed the first Hindi film of the 'lost and found’ genre that paved the way for successful formula in Indian movies. He made his attempt to take Bollywood at a global level. He was one director who could sketches women character in best and modest way that he had revealed in many successful movies like Daag, Kabhie Kabhie, Chandni, Lamhe, and Silsila. He was the first filmmaker to direct a full film without any interval (Iftefaq). Arguably, he changed the face of romance in Hindi cinema and even reflected the tumultuous politics of the society as witnessed in early 60’s and 70’s. Yash Chopra indeed created a brand image for Bollywood to western audiences and left his unfinished goal in hands of his son Aditya and Uday Chopra. The filmmaker was born in Lahore on 27 September 1932 and passed away on 21 October 2012. Also remembered as, the King of Romance in Indian Cinema, Yash Raj Chopra started his career as an ordinary assistant director to I.S.Johar as well as to his elder brother B.R.Chopra. His debut film in 1959 was a melodrama on illegitimacy ‘Dhool Ka Phool’ followed by a social drama ‘ Dharmaputra’ in 1961. After the success of these two, he was more determined and encouraged to pursue his career in the same field. Movies after movies, paved a new route and diversion to his career as well as to film industry. He founded his own production company as Yash Raj films with movie ‘Daag’ in 1973. However, in late seventies to 1989 there was a setback in his career. However, with release of ‘Chandni’ in 1989 his career again came to its track. ‘Lamhe’ in 1961 was considered as the best bollywood hit in overseas market by critics. Signing, King Khan, in movies like ‘Darr’, ‘Dil to Pagal Hai’ boosted the career of both. Yash Raj was both, the founder and the chairman of motion picture production as well as distribution company Yash Raj Films, ranking India’s biggest production house and Yash Raj Studios. His soaring career earned him 6 National Film Awards, 11 Filmfare awards as well as four Film fare Best Director Awards. He was also honoured with Dadasaheb Phalke Award in 2001 by The Government of India. Unfortunately, this successful personality, breathed last on 21 October 2012 in Mumbai due to Dengue fever.Though he is not between us, his evergreen movies will keep him alive in his heart for time immemorial.